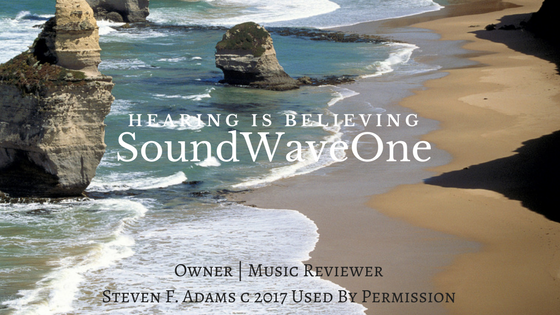 SOUNDWAVEONE – Page 17 – "HEARING IS BELIEVING"
HONOR, LOVE, RESPECT A DREAM COME TRUE. I must start to say that starting off the new year 2018 for myself has been an incredible dream come true. I ask myself and actually have to pinch myself. Most recently I was given the chance of my lifetime to speak with a true American music legend. A very close friend and a very talented musician herself that I have written a music album review for made this happen and I am forever indebted to her and really have a tremendous admiration for her and her incredible musical talent and I treasure her friendship forever. Once gain my dreams of a lifetime has been made this last week I had the real pleasure and incredible honor to have a conversation with an American music legend, have I got your attention? ears perked up yet? The legend I am speaking to you of is a gentleman and a most gracious guy I’ve ever met in my lifetime. I am speaking of Alvin Taylor, he has been in an instrumental part of music history, in the way that he has performed for an amazing and abundant number of true major music artists that are my heroes in the business. Born on March 26th, 1953 Alvin Taylor since his tender age of 5 has been a lover of drums. His lifetime music career began when he was only 14 years old, now, you do the math. In this conversation I learned from Alvin that Since he has 14 he had a music experience, that got him on the musical roadmap, he began touring with Little Richard, & on his album “King Of Rock & Roll” After this stint of musical experience Alvin joined a band called Pacific, Gas & Electric. Alvin in our wonderfully exciting and intriguing conversation Alvin mentioned that the music legend (AKA) known as the 5th Beatle Billy Preston was very instrumental in his introduction to the many legends he has played with. His most amazing experience of his life came to him while he was invited to London by music legend George Harrison of the Beatles fame and ended up recording & performing on his platinum album 33 1/3. His extensive career continued to amaze me as I was listening with every breath as Alvin told me of these incredible stories of music history. His credit history also includes tours with legendary musicians such as Elton John, Tina Turner Bob Dylan, Bob Welch, Leo Sayer, and Ronnie Woods of the Rolling Stones and the list goes on & on. Simply amazing, and what is so amazing about this here I was speaking with this incredible music legend, …me. Alvin has amazing glossary of stories to tell I honestly could write a book based only on his life’s musical journey. As we talked Alvin told me of his incredible music and I was simply and still am simply amazed at that here I was sitting in my studio and talking with a music legend. Since I started this interview with the intentions to write a music album review of him but better than this. I was being told of all these fine musicians that he has played with and quite honestly all my favorite musicians. As we some what wrapped up the conversation I always ask if there is anything I can do for them, Alvin proceeded to advise me that a while back he was provided a “Go Fund Me” account to assist him with getting a star on the Palm Springs Walk of Stars where he has been trying to raise funds to fundraise for his Star on the Walk of Fame. He advised me that it costs him $10,000.00 to get this to happen, and he has raised about $7000.00 of the $10,000.00 needed to make it happen. In my opinion I’d love to see this happen since February is the deadline to get the funds. Also simply because Alvin is such a gracious and awesome person and an American music legend that is very deserving of this. I thank him for his incredible conversation with me and his incredible friendship & his total devotion and dedicated lifelong talents to some of the all time music legends and provided me to the soundtrack to most of my own life. I thank Alvin from the bottom of my heart and what a treasure to have in my heart forever. I was advised by Alvin that when he meets someone and makes friends, he makes friends for life, and that is such a pure joy in my heart that I will always have in my heart and never let go. Thank you Alvin for your gift of time and your incredible gift of musical contributions and to our new friendship and May God always enrich your life with peace, and love forever. In my opinion and to quote the singer/ songwriter Jackie DeShannon “What The World Needs Now Is Love” and to quote and answer one of my many heroes in music the late John Lennon “Give Peace A Chance” and Alvin Taylor has reinforced both of these thoughts in my life. Thank you so much Alvin and May God always bless you in your tremendous life. Author SOUNDWAVEONE Steven F. AdamsPosted on December 26, 2017 Leave a comment on HONOR, LOVE, RESPECT A DREAM COME TRUE. After writing several music album reviews, and all music genres I really enjoy the diversity, and with this being said With my latest review of a blues group called “The Lucky Losers” and their latest release called “In Any Town” where lead singers Cathy Lemons and Phil Berkowitz and the ensemble of fine musicians. They have a superbly fine and polished sound that is really quite honestly great. I have been a huge fan of blues music most of my life and these cats really make my musical taste buds come alive. With the 1st track called “So high” Cathy’s vocals are superb and really make that sound and the lyrical content is really well. It’s rather difficult to find a blues band that actually write their own songs. The 2nd song on this marvelous and really catchy flavorful album is called “It Ain’t Enough” Where Cathy and band really get down to the blues and Cathy really showcases her style and her rich full clear vocals and with Phil on harmonica and the band members Marvin Greene, Chris Burns, Tim Wagar, & Robi Bean they make the sounds that are really real blues and smooth as a diamond. The next song on the album is a remake of Johnny Cash’s song “Jackson” where I am not one for remakes, however the song makes the recollections of Johnny float through your musical memory and Cathy & Phil put their own twist on it. “Don’t Let ’em See ya cry” Cathy’s vocal range is superb and dialed into perfection levels. The next song called “Blind Man In the Dark” the band brings in the real smoothly & refined sound & really brings in the full sound of the band and is my personal favorite on the album. On This song the sax is just amazing which features Terry Hanck where he serves up his solo on this song & adds tremendous balance and smoothness to the already awesome sound. “I Can’t Change Ya” the next track is a harp driven song and between Cathy & Phil they are a really match made in heaven. With the next song starting called “Still Enough to Cry’ brings in the R&B sounds and Phil really showcases his vocals on this one and adds the element of real sounding rhythm & blues and makes the sound fun & really enjoyable. “Give Me A Sign” well this really has a true sense of the definition of blues all over it & Cathy’s vocals are splendid & superb and actually sultry and one of the many songs on this superb album that I really personally like. The Harp from Phil adds even more flavor to the song. “In Any Town’ is really good song and I really loved the total arrangement of the song where Cathy brings in her low and smoothly crafted vocals to the front and really prove that this band is really a contender in the blues scene. The next song called “Devil’s Dream” the element of psychedelic rock came into effect with Phil’s vocals and the band had that magical presence of the 60’s flare and darkness but blended in nicely to the rest of the mix. ‘Small Town Talk’ the last track on this superb and really enjoyable album allows your ears to really hear the dynamic sound of the band and allows your ears to soak in what kind of music that is being presented to you and adds a personal touch to who “The Lucky Losers” really are. My Many thanks to Cathy Lemons & Phil Berkowitz and the phenomenally good band. I really appreciate them for sharing their finely tuned craft with me & wishing to hear more from a well oiled music group like them. As I sat and marveled and listened attentively to the new album from musician artist, and painter Ron Brunk, who is and has a sound that is totally unmatched with anyone I’ve written reviews for in the last 10 years. With his newest project called “Zero Hour” Ron picks through his wild and sometimes dark & quite interesting bag of mixed music collection. With the first song called “Skyline Fades” Ron brings in his strange but eclectic style of music to the table right away. I Must say that as I listened to the album Ron has a real talent for the piano and his lyrics are strong & vivid as the day is long. With the next song “Could But I Won’t” Ron brings in his rapping abilities, well kind of, and definitely has the taste of angst or just telling you how he feels and is quite entertaining. “Heartbreaker Like You” Ron holds no bars on this one where the guitar work begins pounding and Ron has a keen ability to bring in his style all his own and there is something about his lyrics that is almost contagious. This album brings in his songwriting abilities and allows you to feel his pure passion for his craft and is one of those albums that you have to sit down & listen. Once again between the guitar riffs and his piano I almost can’t place into a particular genre, but he has some talent that his taste begins to grow on you as you listen to the album. “Heartland” is another catchy and flavorful song where Ron brings on his piano bar sound and is probably the most rhythmically directed song on this unique and different album. I do really enjoy Rons tremendous gift of the piano mixed with the guitar work and Ron weaves and fuses these two together to make a sound that is reminiscent of a musician that I saw a long while back, he had a sound all his own & that’s what Ron has on his musical plate to present to us all. With the next song arriving through my speakers called “You Make Me Crazy” Ron has an element of Rocky Horror, wildly awkward and has a lot going on within his music, and it’s kind of cool and unique to say the least. “Possession” is another song that definitely carries Ron’s ability to project his best foot forwards, but I actually was amazed and enjoyed the song. With all the songs on this album I really all in all has a distinctive flavor that only Ron brings., he has rock, Pop, and unique abilities to convey his songwriting at you, with the next song called “Shut Your Mouth” Ron begins with sound that adds his unique style on you and I would love to hear some of his older music to compare this album to. Ron throughout this album he plays with angst in a fun way, and I can tell that he really is having fun as he plays. If some people hear his music Ron could be mistaken for Punk, but NOT. Ron has that eclectic sound that no one shares which brings in his unique style all his own. I try to always find a song or two on an album that I listen to say is my favorite and I actually like the song called “Drinker and Bar” and Ron allows you to hear his pure talent on this song with the added violin & viola from Renae Truex, adds to his sound and I must say that this song is one of my favorites on this album, it’s a believable track & has stirring movements throughout and Ron showcases his writing abilities and also his vocals and really sounded good. With the last song on this unique & powerfully chargedand may be seen through a little foggy conditions, meaning not sure what style Ron is but is has a sound that I enjoyed. The song called “Zero Hour” with the sax provided by Jim Hoke, it starts to become alive and with the sax music just adds that believing sound and adds the element of realism. This song could almost be termed as blues because I felt this would be my second choice of favorite songs on the album. As I sum up my feelings on this album I think Ron Brunk has a sound that is unique and on some songs are really good and want to hear more from Ron in the future. Many thanks to Ron for allowing me to review and be allowed to hear his signature sound. I would be willing to see Ron in a live setting to thoroughly enjoy his music because sometimes the audio just doesn’t serve justice like being at a live show. There have been many music artists that have that dance floor sound and one of the music artists that I’ve recently discovered is a lady named Kim Cameron and side Fx and the album is called “No Regrets. with this album Kim has an eclectic beat that is reminiscent of dance floor pop slash techno pop and mixed with a little Euro pop. With the first track called “Drive Kim and side Fx bring in the mix of dance floor sounds in and it really gets your booty movin’ with the consistent beat. The next song brings in that sound again and Kims vocals keep up with the rhythm and matches just right. As I listened I heard more of a dance floor Madonna in style but Kim brings in her elements that really makes me want to get up and dance your heart away into the night. Kim has a flavor and all her music has a sound that in my opinion Kim is an excited dance floor diva and really makes the earth shake with her tremendous dance mixing going on throughout the album. With the song called “Rolling Stone”Kim has a beat that makes the grade and was really enjoyable as I listened on and on. “Play it Again’ Kim maintains a sound that is right on and catchy and flavorful and not noisy just lots of beats per minute throughout. The album plays on and on in my mind where I didn’t need to have a disc jockey shuffling my music cause song after song they blend in just right and is very appealing . “blind Love is that song that is consistent with the flavorful dance floor sound that really kept that beat moving and a groovin’. The next track called ‘forever” Kim and Side Fx really bring the definition of dance tracks to a maximum and is really great. “next To You” is yet another reason to keep the album playing cause this album is non stop music back to back and Kim’s vocals just add that appeal that is smooth and polished and fit like a glove within the music mix. as I listened to this album the next track called “Carnival of Baggage ” Kim and Side Fx slows down the tempo a little to get sultry but remains a contending song on the album chalked with hit after hit. The song “Never” Kim and Side Fx keep that smooth sailing feel and pulse that rocks you to the core with that consistent beat. With the rest of the album Kim and Side Fx remix all the songs and brings in the tempo to it’s ultimate and really made my feeling of the album a good one and Kim has got a sound that is matched with the mix. I really enjoyed it and I have not been on a dance floor in almost 20 years but with this wonderful dance euro pop dance floor mix by Kim Cameron & Side Fx made me wish there was a dance floor to go out and strut and bounce to the grooves on this superbly produced and mixed album. I thank Kim for her allowing me to be exposed to her wonderful musical talents & look forward to hearing more from her and perhaps maybe I’ll be on the dance floor and be able to shake & groove to her incredible dance floor mix. As I sit here and have the real pleasure of listening to the deal. The latest from Lightnin’ Willie called “No Black, No white Just Blues. the album starts off with a bang a song called “Can’t Get That Stuff and what an amazing song where Willie just hands you the spoon of blues and feeds it to ya the way that blues should be fed. With the next song called “Eyes In the Back of my Head” Willie struts his talents once again and really brings a real blues feel and personal touch to his wonderful guitar work. Hearing the next song called “Locked in a Prison(Sound Of Her Shoes” is a real song that Willie & the Boys really out due themselves and remains to be a song that really defines blues songs. In my opinion blues music is formed from life experience and where one writes from his or her lifetime. Willie and the Boys continue to roll their blues dice with the next song called “Sad ‘N’ Blue and Willie knocks it out of the park, the guitar work and and the band just has the rhythm and the right amount of mix that allow the whole enchilada be heard throughout.With the next song playing called “Note On My door Lightnin Willie shows off for the Microphone and allows you to really hear that vibe and real taste of true blues in action. “Heartache” is the next song on this superb blues album & Lightnin’ Willie really makes ground breaking music with this song this is one of my favorite songs on the album and Lightnin’ Willie brings in that full full flavor taste of keeps your appetite ready for more. “Fuss and Fight ” the next track on this superbly refined and smoothy exceptional album. As I write this review I honestly would love to see this band live they have a sound that make you feel like a needs to be heard live show and having a beverage or two and sitting back and enjoy the awesome sound of Lightnin” Willie & the boys. “The next song called “Phone Stopped=Ringing Lightning Willie really proves who he is as a true blues guy and I was totally impressed and really want to hear more. with the next track “Thinking of you brings in the flavor of smooth blues and Lightnin’ Willie seems to have this element mastered . The next to last song on this miraculous smooth feeling album Willie and the Boys bring in the element of smooth low groovin sound and Lightnin’ Willie and his guitar works are really pronounced throughout. with the song called “Shake My Snake” Willie brings in the element o an amost ZZ Topish and rips through like a knife through hot butter and really got Jamming. I’d like to say thank you to Willie and the boys for their awesome contribution to the blues and really struttin their stuff, so to speak, and can’t wait til I have the time to be at their next show. EVERY NOW AND THEN YOU HEAR A SONG THAT REALLY MOVES YOU. CONCEPTZ HAS CREATED A NEW SOUND THAT ADDS COMPLETENESS,FULLNESS AND SENDS A MESSAGE THROUGH THEIR LYRICS. THE RAP MUSIC DUO CALLED CONCEPTZ..THROUGH THEIR RELEASE “GRIND MODE” HAS THAT GROUND BREAKING APPROACH THAT BRINGS IN ISSUES THAT REALLY MATTER IN LIFE. ISSUES THAT MATTER IN LIFE. ISSUES THAT LISTENERS CAN APPRECIATE AND RELATE TO. THEY HAVE A UNIQUE STYLE& INCORPORATE SOME OF THE OLD VIBES OF OLD SCHOOL RAP MUSIC, THAT OVER THE YEARS HAS CONTAINED NEGATIVE MESSAGES, BUT WITH CONCEPTZ: ” GRIND MODE” THEIR LATEST WORK, THEY DELIVER AN ANSWER AND A POSITIVE MESSAGE. A WORK OF SMART LYRICS THAT ENCOMPASSES SUBSTANCE AND MAKES ONE REALLY WANT TO LISTEN TO. Blown away….that is all I need to say when listening to the album by Tamanie Dove and Daniel. The album called “GenreBellion” and Tamanie really reaches out and shows her incredible talent once again. On the song called “Touch the Sky” Tamanie Really, Really shows effortless ability to bring you into the music. The next track called “Crazy Is” is a phenomenally produced and a real bluesy song that grabs you and involves your whole musical listening abilities and has that incredible sound that is deemed to be a classic. I have been writing reviews for quite a while now and hearing this album just lets me know why I keep writing reviews for musicians. Tamanie continues her tremendous vocal ability on the song”Sounds of Chance” between the awesomeness of the band and Daniels production value, adds that much more. “Kisses from a Butterfly” Tamanie just nails that song and makes it feel real and constantly believable throughout. The next song “Best Friend” really spoke to me since, Tamanie once again projecting that personal side of her singing ability that reels you into her world and includes you with her. I feel throughout this superb album Tamanie showcases her ability to change it upon every song and adds to the appeal of this awesome album. “Do Good” is just another song that spoke to me as a person, cause this is what I strive for, “Do Good In All I Do”. On The next song called “jealousy” brings in a kind of new sound to her style but once again, Tamanie makes the song shine in her style, allowing you.. to be part of her music. When Tamanie brings you into her music she adds that realism that made me a firm fan of hers. Song after song on this album the music just blends well and honestly I wanted to keep it in the jukebox with the repeat cycle on forever. I am constantly musically aroused from the ability that Tamanie has and shows and even reflects her awesome and superb sounding music and lyrics. For example the song “Teetering”, Tamanie once again blows you out of the water, a bluesy feel and just a great song that puts you in the mood for more. the last song on this polished and buffed out album is called “Back When” where Tamanie brought me into her music and I have always felt throughout this album. Thank you Tamanie for your beautiful support of my craft..writing. I am always happy to hear when Tamanie has a “new” project, because I will never be disappointed. All in all if you have not heard or know Tamanie Dove, this is one artist that is going places and this is an artist that who is going places and has that “superstar” appeal and always will.